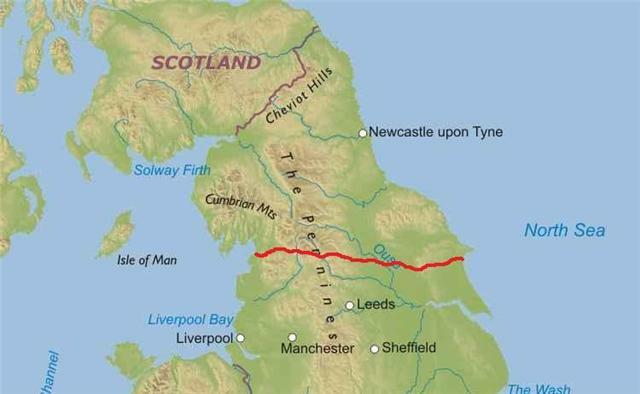 The Way of the Roses cycle route is one of the newest, most exciting coast to coast cycling trips out there. If you're looking for a C2C cycling holiday with a difference, why not take on the Way of the Roses? From beautiful historical market towns to underground caverns and amazingly bizarre rock formations, this superb cycling tour has something for everyone. Beginning along the attractive promenade at Morecambe Bay on the Irish Sea coast and finishing at the famous seaside town of Bridlington, some 170 miles east on the North Sea coast, this fabulous, well signposted cycle route is the C2C challenge of the future! You can decide how many days of cycling your Way of the Roses biking trip should last - from 2 to 5 days and choose between a self-guided or fully supported cycling holiday. Your cycling holiday can be organised on any dates between March and October for groups of two or more people with 2, 3, 4 or 5 days of cycling. Choose your preferred dates and contact us to start planning your cycling trip now. If you have some flexibility take a look at our cheaper trips for small groups page for the most economical options! We can accommodate groups of any size. If you have a group of 3 people or more than 8 people please contact us for the best price.